Discover how to bake more than 70 delicious low-sugar and sugar-free recipes. Yes, you can have your cake - and eat less sugar too. Described by Jamie Oliver as his "favourite baking book of the year", the healthy baking recipes for these beautiful cakes cut down on sugar, or cut it out altogether, thanks to the imaginative use of natural ingredients. As a bonus, many of the recipes are also gluten-free and dairy-free. Discover how to bake more than 70 delicious low-sugar and sugar-free recipes, including healthier versions of favourites such as carrot cake, muffins, gingerbread and hot cross buns. Every recipe tempts with a stunning photo of the finished cake or bake. The recipes contain little or no processed sugar, instead relying on easy-to-source sugar substitutes and natural sugar alternatives, such as honey and seasonal produce. Foraged edible flowers adorn decadent chocolate muffins and freshly picked berries peek out from between the layers of beautiful cakes, creating a feast for the eyes too. Written by Carolin Strothe - cook, food stylist, and author of the award-winning blog Frau Herzblut - and her husband Sebastian Keitel, the book explains the benefits of a low-sugar diet and debunks the myth that healthy baking must come with a compromise. Carolin includes a seasonal calendar to help you choose the best ingredients; basic recipes for pantry essentials such as apple sauce and cashew cream; and tips to help you elevate the look of your creations using natural colourings. With Low-Sugar Baking you can cook and enjoy treats in a healthy, guilt-free way. 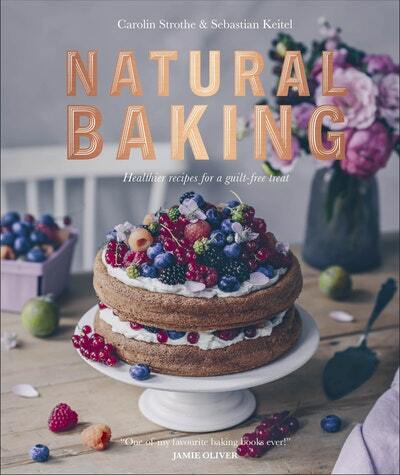 Love Natural Baking? Subscribe to Read More to find out about similar books.